A Day Dreamer's World: Series' I Haven't Finished Yet! Series' I Haven't Finished Yet! Half-way through a series - one that I've read back-to-back to that point - I walk past a bookstore. The latest YA releases are inside, including a standalone that is on my must-read list, and after a few minutes of pleading, I convince my parents that I do, in fact, need enough book. I arrive home and, instead of reaching for that final book in the series, I grab my newly-bought read instead, promising to return to the other set of books later. I never do. In fact, I've not reached the end of multiple series' - including Harry Potter(Yes, I'm ashamed to admit that!). Would you forgive me if I told you that I have read the first two books, at least? That I've been sorted into Gryffindor with Harry Potter and played a giant chess-game with Ron Weasley? Maybe? 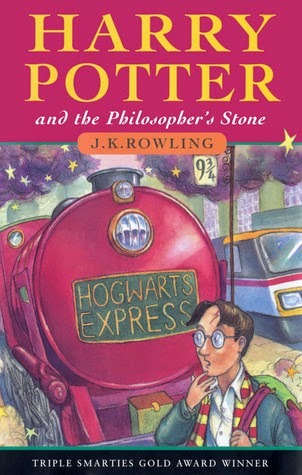 It is likely, though, that I would have never discovered J.K. Rowling's writing if I hadn't studied it in English. My teacher made them the most magical two years. Time was spent designing our own Hogwarts professors; reading the novel out-loud; watching Harry Potter parodies on TouTube at the end of the lesson. I still have my battered blue Year Seven English exercise book, with red-pen marking my spelling mistakes, which I read through every few months. In those lessons, we all participated. Where, in some schools, you'll find the class reading from textbooks, we spent the time listening to classmates attempt Hagrid's accent. Every Summer I promise to read the series. Sometimes, I have the books - borrowed from the library - stacked in a corner, and still choose to read other novels instesd. One of the reasons why is the length of the series; in particular, the final novel, which could challenge that of A Game of Thrones. Reading seven novels takes time, and as a book blogger, I'd struggle to read them and books to review. And, if I ever was to complete J.K. Rowling's novels, I would want to read them back-to-back, spending months with Harry, Hermoine and Ron without worrying about the pile of shiny new YA debuts waiting to be read. When discussing Harry Potter with friends they always comment on the impact it had on their childhood; the world it opened up to them. Now I'm fifteen, I worry that I'm past the age that Rowling's books were for, and that I would be disappointed. I hope that I'm wrong. I absolutely loved the first two books in the Matched trilogy. The idea that everything is chosen for you, such as who you should love, was really believable; the Officials seemingly striving for perfection in society. I was cheering-on the characters, falling in love with Condie's writing style and choosing who to support in terms of the love-triangle(Xander!). But, mainly, I really enjoyed how this novel highlighted how important words are. Cassia can't write - only type - and this opened-my-eyes to our obsession with technology. I've been waiting to read the final instalment for months; long enough to forget the details from Matched and Crossed. I would reach for the final book and start reading it this moment, but I wouldn't know who most of the characters were, or what was happening in the plot. If I do decide to read Reached, which I'm highly-anticipating, it will also mean re-reading the previous books beforehand. I want to know I have the time to read them all in a few days, before I start again. 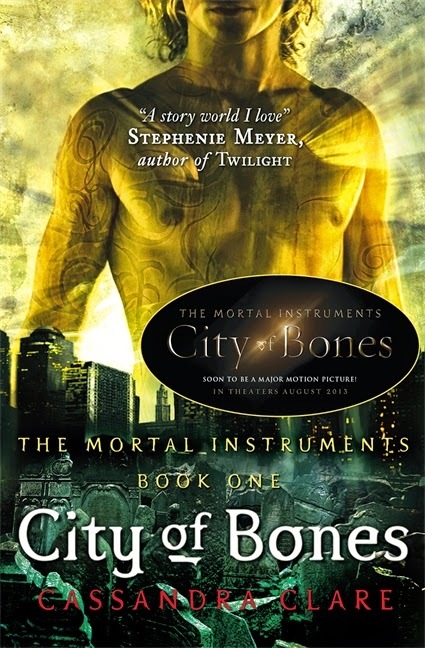 There has been a huge amount of hype surrounding these novels recently, especially during the City of Heavenly Fire(The Mortal Instruments #6) release a few months ago, discussion continuing about the next movie instalment. I read the first novel in the series last year and liked it. But, I didn't fall-in-love with Clare's novel as I expected to. Though the Shadowhunter world was intriguing, I struggled to understand some key plot-points, continuing to read because I wanted to rate it five stars. I really did. And, whilst most readers have swooned over Jace - the love interest - I could only think of him as being too sarcastic. We didn't have a good relationship. I'm not desperate to continue with Clary and Jace's story. I did purchase the next two books in the series, in an attempt to have the full collection on my shelves, but I'm yet to read the first few pages. I've heard that Clare's prequel series, The Infernal Devices, is better than The Mortal Instruments, and as it is set in Victorian London, I'm definitely interested in picking these up soon. I'm excited to see how Clare combines fantasy and historical fiction, whilst winning me over to her Shadowhunter world. What series' are you yet to finish? You haven't finished reading the Harry Potter series??? REALLY???? Dude, you severely need to do so - you will not regret it! Those English lessons sound fab though, what a great teacher! 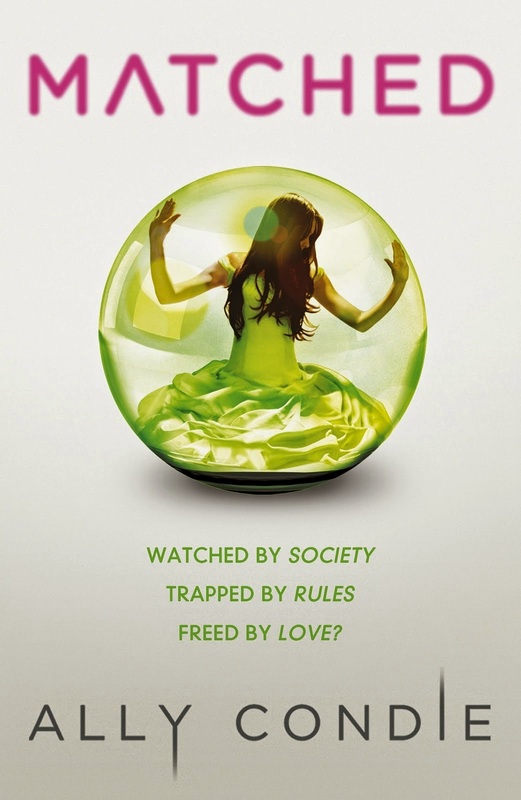 I personally really need to read the Matched trilogy - I really am guilty as charged for not reading them. I keep meaning to but eh, life gets in the way. But, that's no excuse, I must knuckle down and read them in my next school break. 100% must. PLEASE FINISH THE HARRY POTTER SERIES! No one is too old!! I've read the entire Matched trilogy but it was overall quite meh for me. I really enjoyed the first one but the last two were pretty slow going. But if you liked Crossed, you'll like Reached!